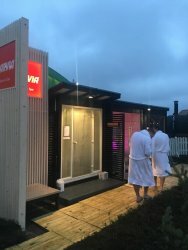 For the second year in a row, the 20 thousand visitors to Slush, the technology mega-event in Helsinki on Tuesday 4 and Wednesday 5 December, will have the opportunity to treat themselves to the authentic Finnish sauna. Slush Helsinki and sauna have always been connected. Already during the early years, attendees went to sauna and took refreshing dives into the Baltic Sea. Yes, in winter. However, the venue is not next to the sea anymore but at Helsinki’s Messukeskus Expo and Convention Centre. 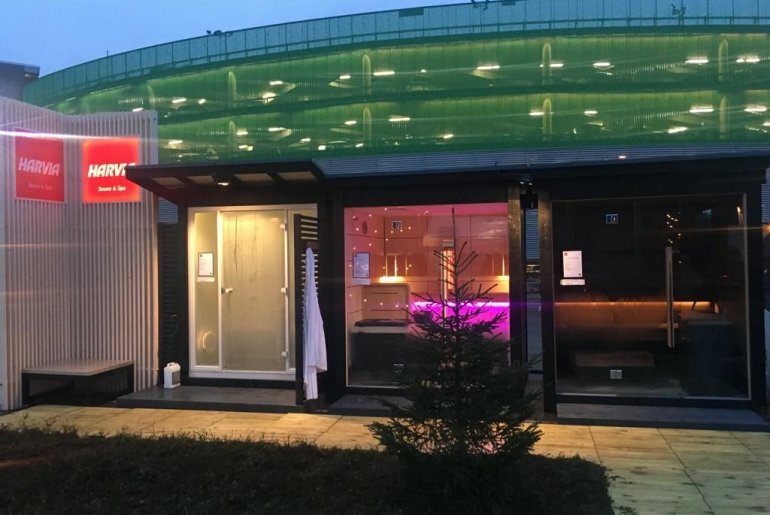 Outside, adjacent to the main hall, a 900-square-metre Sauna Village has been built for conference goers to try different types of sauna and have a dip in a hot tub or cold pool. No, no skinny-dipping. When you buy your ticket for 30 euros, you get a towel, a bathrobe, slippers, and swimwear in a bag. Shampoo and soap are provided at the showers and the change rooms have lockers. Drinks and snacks are available from the sauna lounge. 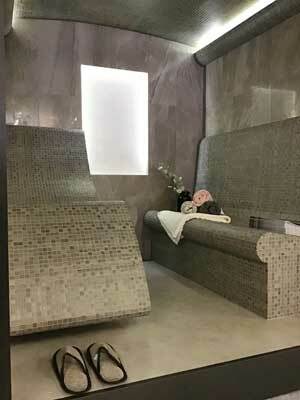 This time there is even a shop inside the lounge where you can buy soap, shampoo, scents, skincare products, textiles and sauna accessories such as thermometers and sauna heater stones. 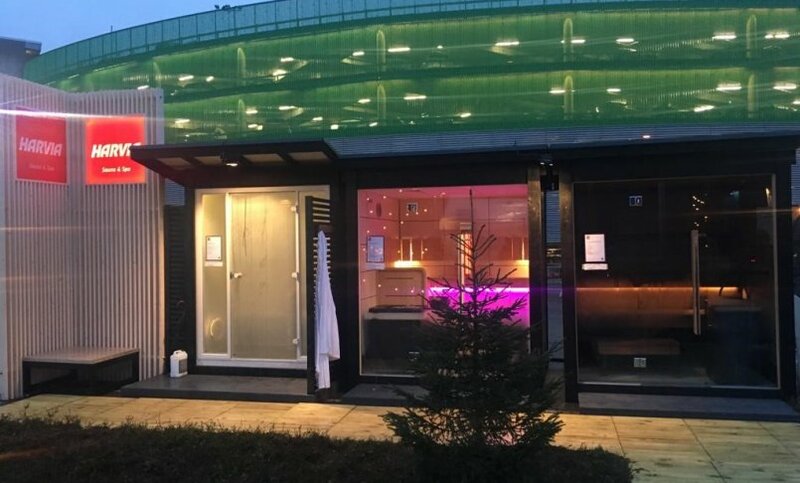 Sauna from Finland, a business promotion network of nearly 200 companies in the sauna industry, partnered with Slush to arrange the Sauna Village and gather a variety of participating companies providing saunas, sauna equipment and accessories, and services. There are now eight different saunas (+2 compared to last year), three hot tubs (+1), and two ‘avanto’ pools. Finns use the word avanto for a hole in the ice. 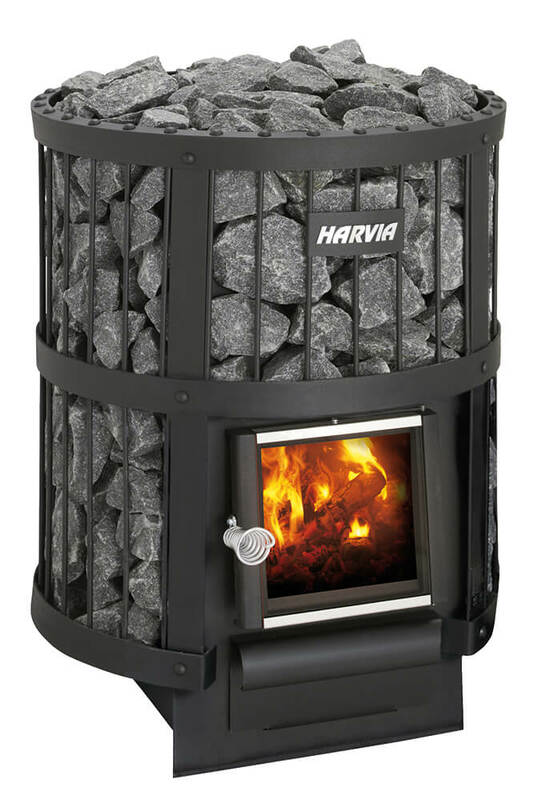 Harvia, one of the world’s leading suppliers of sauna and spa, has three different sauna’s for visitors to test and relax in: a traditional finnish sauna, a hybrid sauna with infrared radiator and electric heating, and a steam room. There are also more stewards and stewardesses this year to answer people’s questions, help first-timers have a pleasurable personal experience, and generally make trying things out as easy as possible. 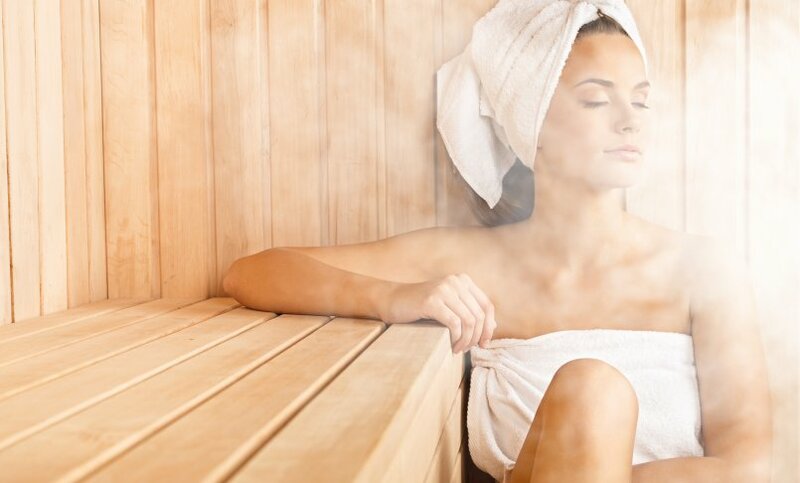 An increasing body of evidence supports the reputed health benefits of sauna bathing, as it can increase cardiovascular health, improve the bather’s metabolism, and reduce or delay the progression of dementia. 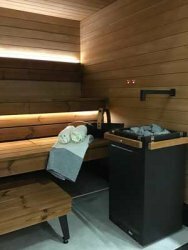 In the hectic day-to-day of the technology business, what could be a better way to re-energize than by having a relaxing sauna bath? 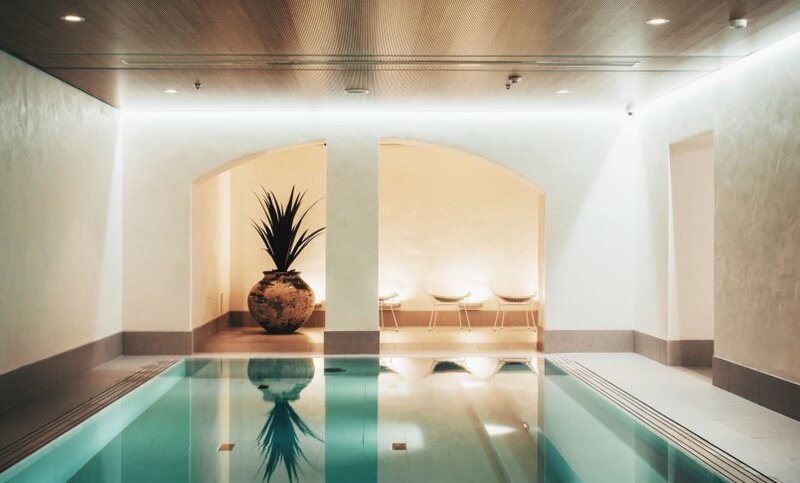 When your mind starts running rampant, slow down and just be present in the moment, in the comfort of your sauna. Last year, many visitors to the village got inspired by the idea of having business meetings in sauna. Board members of a Norwegian venture actually decided to have a strategy meeting in the whirlpool tub.